being little • bristol uk fashion & lifestyle blog. : pack up. 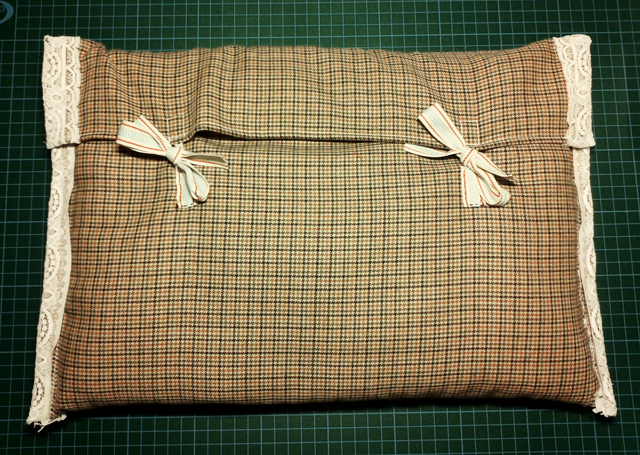 Above is a photo of a laptop cover I just finished making yesterday! I'm pretty pleased with it. It's padded and has a piece of board in it too, so hopefully it should keep my precious macbook pro safe as I trot around! After a bit of a search, I came up with a shortlist of bags that had the right measurements, and this one happened to be exactly £25, so I snapped it up! 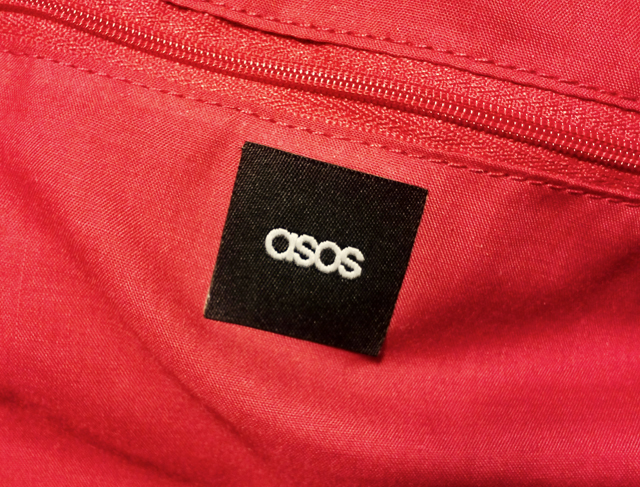 Surprisingly, I've never bought anything from asos before, but I'm really impressed with their range and their speedy delivery! hat & jeans - topshop ; shirt - charity shop. That Rucksack is gorgeous! I love the colours. 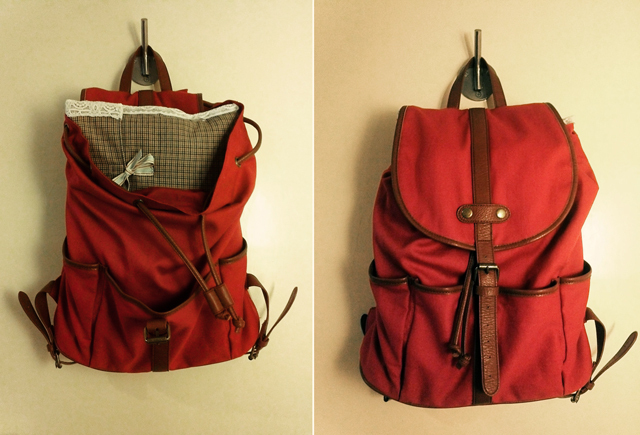 I've been loving backpack bags recently and this is one of the nicest I've seen. Well done on winning the voucher for it! I fancy you and want to pro create with you. I also love your bag. I love that backpack, it's such a good size and shape! I bought my brother a cool military style one from ASOS for Christmas and now I'm thinking I might have to get myself one! That laptop case is also gorgeous, so pretty! 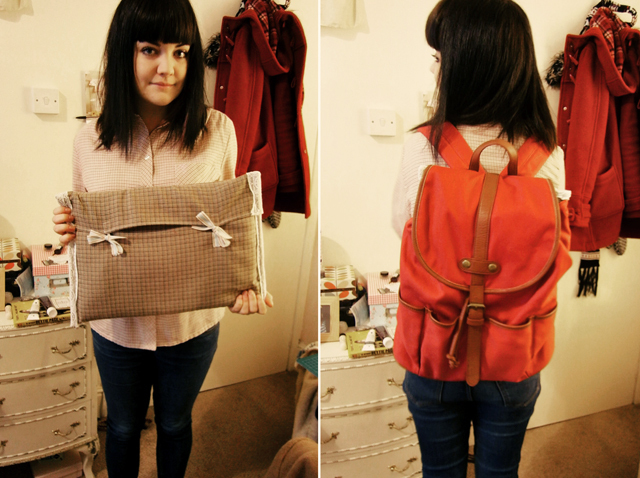 Gorgeous rucksack, and the laptop case is perfect! Such a pretty laptop case, you are very talented me dear as I have said before ;) That rucksack is awesome I am so tempted myself to buy that as I have been looking for one for ages. I try'd on that red flower scalloped edged crop top you bought in Primark the £4 one and it did nothing for me :( Sniff. I think that backpack looks so cute with your hat! You are so clever to make that laptop cover! Ever thought about selling them? I wish I was more crafty! Love your rusack - super cute! Lovely laptop cover. Your slightly wonky fringe is great too. 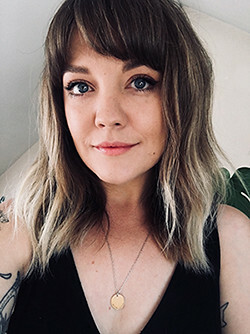 As someone who can't resist cutting my own fringe, a wonky fringe can't be avoided! ah, your new backpack is so lovely. it's just perfect for you! :) i adore your homemade laptop case, too. i may have to attempt to make one myself for my little netbook, as i shamefully just chuck it in my handbag at the moment! 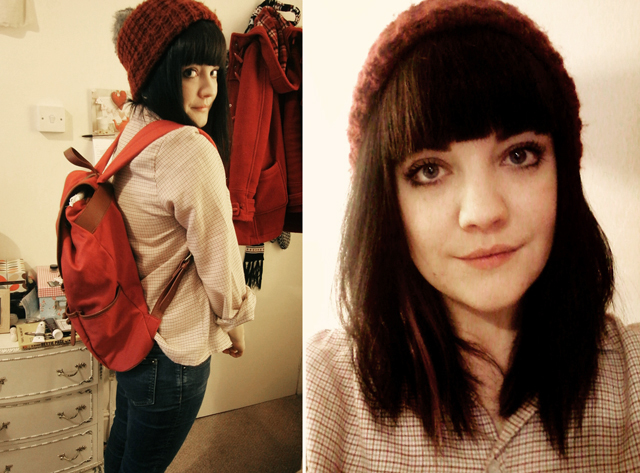 Totally envious of your rucksack, been wanting one for ages and in that colour! What a find !! Such a pretty laptop case too..
love is in the air with motel!